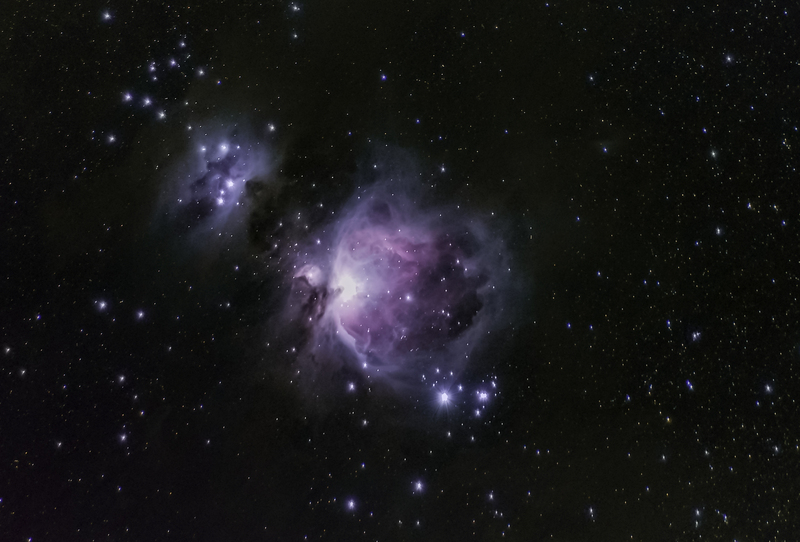 This is my third time shooting M42 – Orion Nebula. I camped over night somewhere on the south rim of Grand Canyon National park. It was cold and windy but I did manage to get this shot. Total exposure time is 20 mins shot with Nikon D810 using Nikkor 70-200mm at effective focal length of 300mm mounted on tracking device. Images pre-processed in Nebulosity 4 with 22 dark frames and 189 lights (subs) each with exposure of 6sec f2.8 at ISO 6400. Images were then aligned and stacked in Nebulosity.